Approximately 2,000 people will gather at The Baltimore Convention Center on Thursday, September 6, 2007 to honor Cardinal William H. Keeler, whose resignation from the office of Archbishop of Baltimore was accepted by Pope Benedict XVI on July 12, 2007. Catholics from over 150 parishes will join more than 20 Catholic bishops from throughout the country, as well as priests, deacons, representatives from the many religious communities and Catholic institutions, faith leaders, and elected officials expected to be in attendance. The evening begins with a reception at 5:30 p.m., followed by dinner at 7. A video tribute featuring interviews with people who have been impacted by the Cardinal’s ministry will highlight the program, which is due to conclude at approximately 10 p.m.
Archbishop-designate Edwin F. O’Brien will offer brief remarks at the dinner, which will be emceed by WBAL-TV anchor, Mr. Rod Daniels. Cardinal William H. Keeler submitted his letter of resignation in March of 2006 in accordance with Canon Law, which requires bishops to do so upon reaching the age of 75. Cardinal Keeler was installed the 14th Archbishop of Baltimore in May, 1989. He is the third-longest serving Archbishop in the history of the Archdiocese (founded in 1789). Was the third Archbishop of Baltimore to be named to the College of Cardinals (1994). Was the second Cardinal-Archbishop of Baltimore to participate in a papal conclave (2005). He was the first Archbishop of Baltimore to host a visit from the Holy Father (1995) and the first to serve as president of the national bishop’s conference (1992-1995). He was the only Archbishop of Baltimore to serve as a peritus at Vatican II (1962-65). Prior to his appointment as Archbishop of Baltimore, Cardinal Keeler served as the Bishop of Harrisburg, where he had served as a priest since his ordination in 1955. Though born in San Antonio, Texas, he moved to Lebanon, Pennsylvania, as a child and remained there until he left for Rome to study for the priesthood. Cardinal Keeler will celebrate a Mass of thanksgiving at the Cathedral of Mary Our Queen on September 23, 2007 at 11 a.m. This will be his final public Mass before the installation of Archbishop Edwin F. O’Brien as the 15th Archbishop of Baltimore on October 1, 2007, at 2 p.m. at the Cathedral. 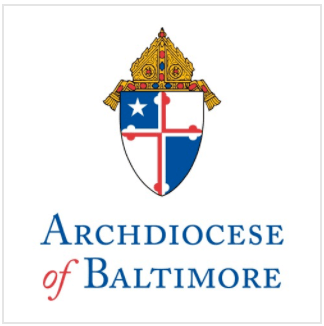 There are more than 500,000 Catholics in the Archdiocese of Baltimore (consisting of Baltimore City and the nine surrounding counties-Garrett to the west, Harford to the north and east, and Howard to the south). For more information about the Archdiocese of Baltimore and the life and ministry of Cardinal William H. Keeler, visit www.archbalt.org.